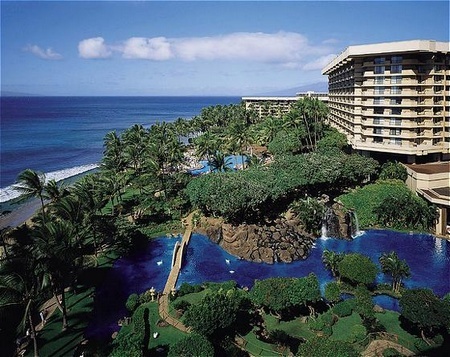 Have YOU stayed at the Kaanapali Beach Resort's Hyatt Regency Maui? Click here to share your story! Anyone looking for a Kaanapali Beach resort that caters to not just adults, but kids too, need look no further than the luxurious Hyatt Regency Maui! The first thing I always do when considering which of the Maui hotels to stay in is to check out reviews by other travelers. I've been very impressed with the Hyatt Regency Maui reviews because whether on my one of my favourite sites like Booking.com, or anywhere else, this Maui, Hawaii resort comes out with average ratings of between 4 and 5 stars. 2) It's located on 40 acres of beachfront property that will knock your socks, err, flip flops off! 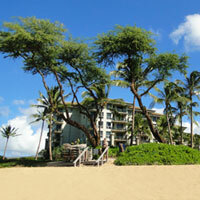 The Hyatt Regency Maui is located on the beautiful Kaanapali beach. 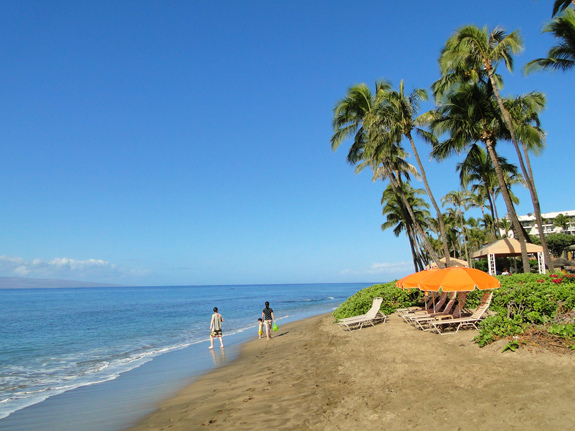 This beach has been a favourite of Maui visitors for ages, and once you've seen it for yourself, you'll understand why! 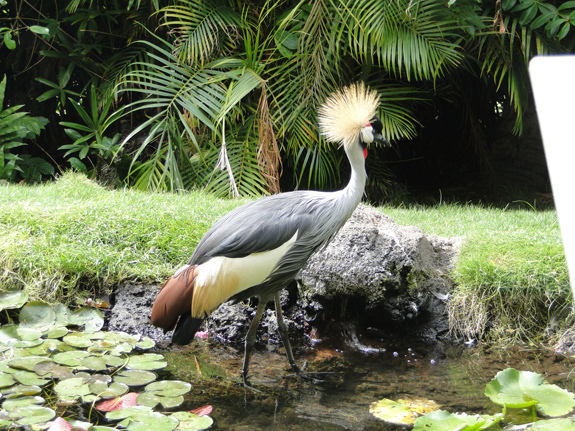 They also have the most incredibly landscaped grounds - and to my enormous delight, they've even got exotic birds waltzing around! 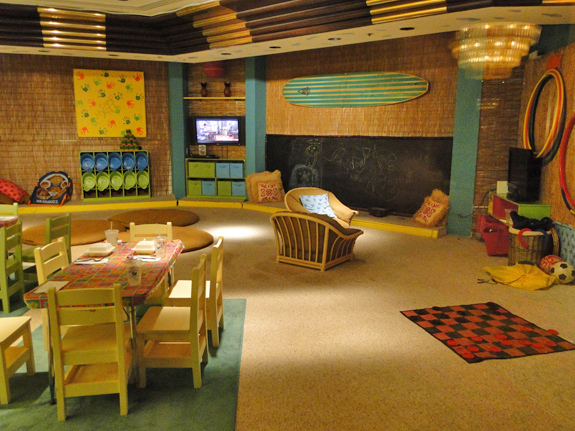 Camp Hyatt Kaanapali is full of games, activities, crafts, and story telling. The Oceanfront Pool and Water Playground is out of this world! 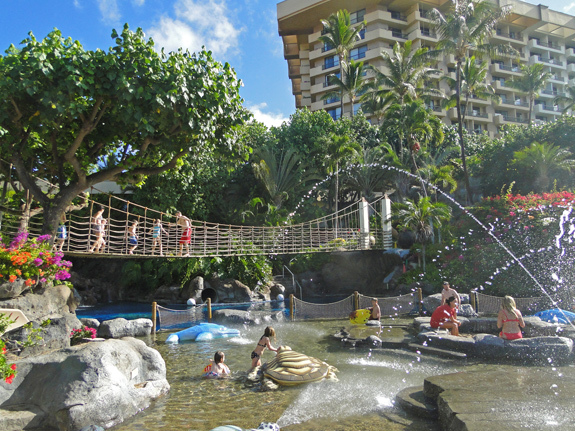 It has a 150-foot lava tube water slide, rope bridge, waterfalls, and even a special "Keiki Lagoon" for smaller children. It's truly a playground fit for the whole family! 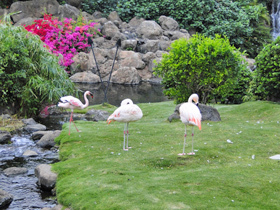 A Wildlife Tour which takes place in their gorgeous atrium showcases penguins, cranes, swans, flamingos, and parrots. Babysitting Services to allow parents to get some time to themselves. I'm sure I don't need to tell you how handy THIS would be! The Grotto Bar, located beneath the pool area's waterfalls. I think it's great to have the option of enjoying a cocktail beside the pool in the hot Maui sunshine! The Spa Moana, which sounds like a great place to relax and pamper yourself! They offer a wide selection of spa treatments and packages, as well as various salon services. 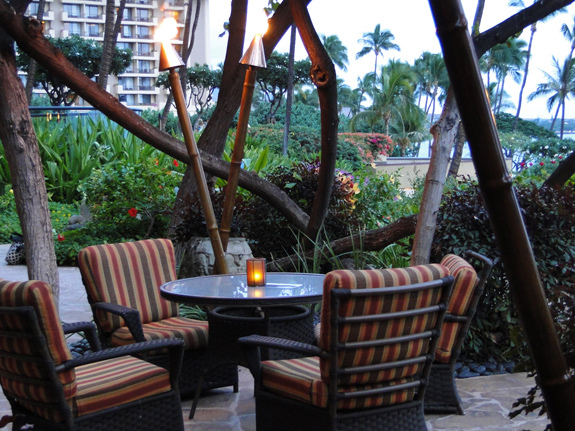 The Drums of the Pacific Luau can be enjoyed by kids and adults alike here at the Hyatt on Kaanapali. At the time of this writing, kids 5 and under can get in free, so that helps make it more affordable for families. The Moana Athletic Club is a nice amenity for those who don't want to let their work-outs slide when on vacation. 5) There are lots of on-site restaurants and dining options to choose from too! I don't want to get bored by eating in the same restaurant too many times, so the fact that this Kaanapali Beach resort offers several options to choose from is great! Halona Kai for casual daytime food, or evening cocktails and desserts. 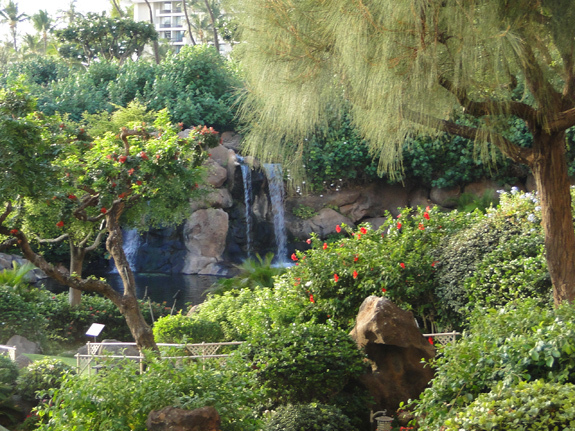 So those are my favourite things about the Hyatt Regency Maui. What are yours? Share your comments here! Click here to find out more about the Hyatt Regency's amenities, as well as rates and availability. Or, use the search box above to find the best rates at one of my favourite sites for booking hotels! 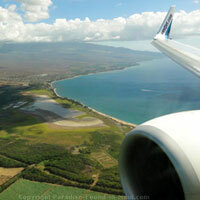 1) Find out more about what the Kaanapali, Maui area has to offer! 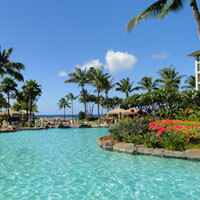 2) At the opposite end of Kaanapali Beach is the Royal Lahaina Resort. 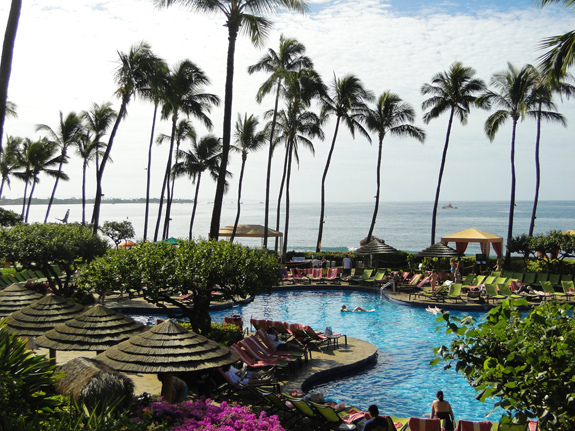 Click here to read my review of the Royal Lahaina Resort. 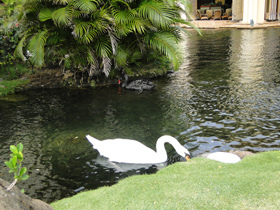 So What Did YOU Think About the Hyatt Regency Maui?